Exactly 20 years ago the first Yamaha YZF-R1 completely changed the face of the Supersport segment. Built without compromise to the highest specification and delivering the most exhilarating levels of power with outstanding agility and unmatched street presence, this seminal motorcycle created R-World – and paved the way for the development of today’s high-tech R-Series models. With one of the widest selections of high-performance models covering the market from 1000cc through to 125cc, Yamaha’s R-Series motorcycles continue to set the agenda. 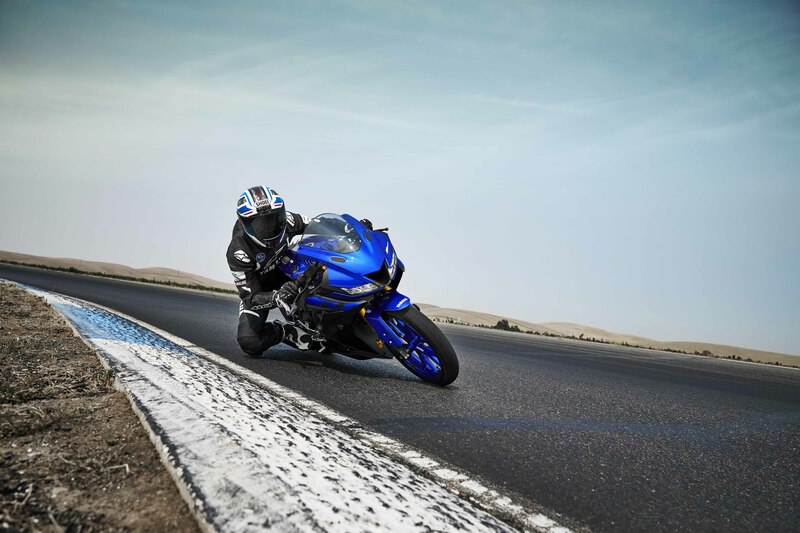 Aimed at thrill-seeking riders who are looking for class-leading performance on the street and track, each R-Series supersport bike delivers an adrenaline-charged ride every time, and is built to redefine your reality. Featuring the most dynamic and exciting styling that has been created with R-series DNA, the all-new YZF-R125 is the most advanced 125cc supersport ever developed by Yamaha. Its all-new high-tech engine gives stronger acceleration and a much wider spread of power from low rpm through to high speeds – while the new chassis and ergonomic layout delivers easy agility with high stability, while also enhancing the bike’s everyday comfort and practicality. Its aggressive YZF-R1 inspired looks include a racy and aerodynamic front fairing and MotoGP influenced cockpit design, giving this 125 a serious and extreme image that underlines its track potential – and with its premium quality finish and high-quality engine and chassis components, the all-new YZF-R125 is Yamaha’s ultimate 125cc supersport. The Yamaha YZF-R125 is already widely known as one of the strongest performing models in the 125 supersport class. For 2019 the liquid-cooled 4-valve engine has been completely redesigned targeting more torque and broader, smoother power while improving the fuel efficiency too. One of the most significant pieces of new technology is the Variable Valve Actuation system (VVA) that optimizes the valve position in relation to engine rpm. By giving idealized inlet and exhaust valve operating characteristics at all engine speeds, VVA enables the YZF-R125 rider to experience stronger torque for better acceleration from low to mid rpm, combined with stronger performance at higher engine speeds. The new engine also benefits from a redesigned fuel injection system equipped with a wider throttle body that gives a smoother feeling for enhanced controllability. There’s also a refined cooling system that reduces engine warm up time and improves cooling efficiency at higher engine temperatures – and this increased cooling efficiency allows for the fitment of a lighter and more compact radiator. As well as the installation of the power-boosting VVA system, the new engine features a completely new 4-valve cylinder head that benefits from larger and shorter intake and exhaust valves. Yamaha’s engineers have also decreased the size of the combustion chamber, and the result is a much higher level of combustion efficiency that contributes towards the new YZF-R125’s wider spread of useable power and also helps to increase fuel efficiency. These developments also contribute to producing an emotional sound for the exhaust. All R-Series models are renowned for their lightweight agility on the road or track, and the 2019 YZF-R125 chassis has undergone a range of major changes that are designed to underline this model’s status as the definitive 125 supersport. The front and rear chassis geometry has been optimized to give smoother and lighter handling that gives a more thrilling ride – and together with the high-specification 41mm front forks this new chassis offers increased comfort, even at high speeds. The refined chassis now comes equipped with a newly designed lightweight aluminium swingarm that complements the revised dimensions of the new frame. Manufactured using Yamaha’s advanced casting technology, this shorter swingarm ensures optimized rigidity with low unsprung weight for a sporty, agile and comfortable ride. To enable every YZF-R125 rider to experience the highest levels of controllability during braking and acceleration, the new model is equipped with a refined A&S clutch. New clutch springs give a lighter feel at the lever for more comfortable and precise operation, while the design gives good driveability when accelerating and also prevents the rear-wheel locking during deceleration. The looks and character of the new YZF-R125 have been shaped by the same dynamic R-Series DNA that makes the YZF-R1 one of the most respected bikes on the street and track. New dual full LED headlights and a YZR-M1 type front fairing underline the fact that this bike is an integral part of the iconic R-Series family – and the premium finish is evident in the wide range of high quality components including the handlebar crown and painted front fender. Even the tail gets the full YZF-R1 treatment, and the all-new rear end comes with race-bred air ducts and a 12-LED tail light. The sleek and sporty design of the new YZF-R125 inspired body is complemented by a new 11-litre fuel tank that is designed to be easily removed when access is required during routine maintenance. Featuring beautifully-finished close-fitting external panels, the shape of this stylish new tank gives excellent knee grip and allows the rider to adopt a range of positions to suit both low and high speed riding. Every R-Series model can trace its heritage back to the race track, and as well as its pure YZF-R1 DNA, the new YZF-R125 also features a new lightweight handlebar crown design inspired by Yamaha’s YZR-M1 MotoGP race bike. There’s also a MotoGP-style brake lever protector, and the whole look and feel of the new cockpit illustrates this class-leading 125’s race-bred genes. 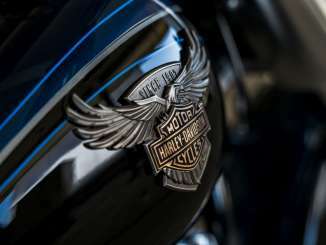 To reinforce the connection between the bike and rider, the newly designed instrument panel displays a personalized greeting as soon as the ignition is turned on. As well as the easy to read central bar-type tachometer and large digital speedometer, this stylish and sporty multi-function LCD display also features a shift timing light, gear indicator and VVA status display. Important changes for 2019 are designed to give increased levels of rider and passenger comfort. New handlebars with a more open and horizontal position are designed to give an idealized balance between the sporty riding and everyday comfort – while both seats have been redesigned and now feature thicker foam. These measures – together with the reshaped fuel tank and new aluminium rear set footrests – make the new YZF-R125 a more comfortable and practical bike without compromising its thrilling supersport character. Like the fuel tank, the lockable seat can be easily removed when access to the engine is required, making routine maintenance quick and easy. To optimize the increased overall performance offered by the new engine and revised chassis, the YZF-R125 is fitted with a wider 140-section rear tyre. Designed to give a good balance of grip and durability, this new 140/70-17 rear tyre offers improved stability together with better handling, and its wide profile accentuates the aggressive looks of this 125cc supersport. The 292mm front disc and 230mm rear disc deliver strong performance with plenty of feedback, and for 2019 this class-leading system is further refined by a revised brake hose layout and a new rear brake caliper with different specification pads giving an even better braking feel and more control. The YZF-R125 will be available at Yamaha dealers starting in beginning of 2019. Please contact your national Yamaha press officer for more detailed information and the local retail price. During 2018 the YZF-R1 and YZF-R6 have once again demonstrated their winning ability on the track in various international and national race series, and on the street these two high-tech models continue to offer the highest levels of performance, handling and electronic rider control technology. For 2019 both the YZF-R1 and YZF-R6 will be available in bold new colour and graphic options. Designed for the ultimate in track performance, the special edition YZF-R1M will be available exclusively via an online application system that goes live on 29th October. All owners of the 2019 model will receive a free invitation to attend the Yamaha Racing Experience (YRE) that will take place at a selected European racing circuit during 2019. Full information will be released shortly. Genuine Yamaha Accessories enable every R-Series rider to transform their stock Yamaha into a unique bike. Designed to give enhanced performance, functionality and style, the range of components for the Yamaha R-Series models includes titanium exhausts and slip-on mufflers, billet covers, protectors and more. Yamaha is working closely with approved suppliers to develop new products, and so the Genuine Yamaha Accessories range of parts and accessories is constantly evolving.